Over the last few weeks we have been learning about patterns, shape and area in maths and in art we have been exploring cool and warm colours so naturally we combined all this learning to create Hundertwasser style trees. 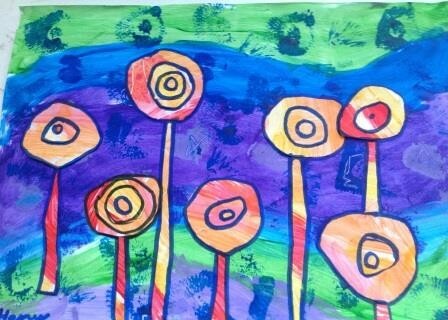 We started by creating the warm and cool colour pages using acrylic paint A3 paper and a variety of sponges and brushes. We drew on the wet paint with matchsticks and the pointy end of the brushes and we drew with felt pens on the paper when it was dry. 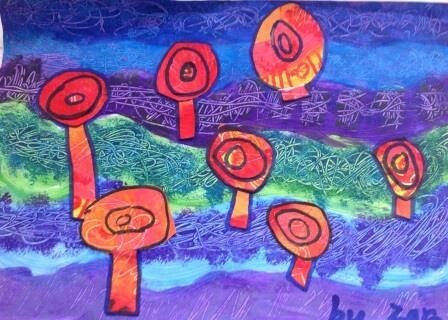 Next the children chose one piece to be the background and the other was used for the trees. 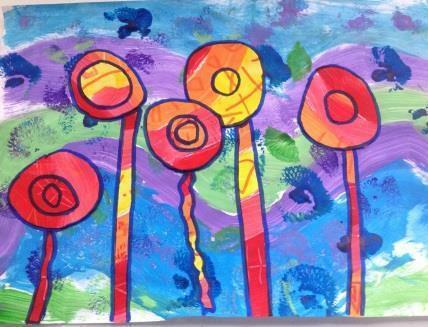 They drew and cut out circles which they glued onto the background in layers (area) to create the trees. Then they cut strips of paper to create the tree trunks. 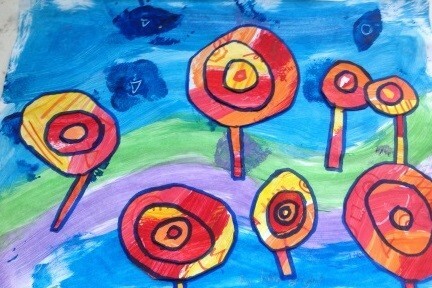 The trees and layers were then outlined to make them “pop”. 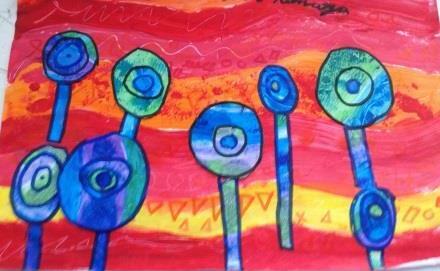 I love how they embraced the style of Hundertwasser and made it their own.